LONG-LASTING - This rake's durable mesh net is sun and chemical-resistant, ensuring years of quality performance. WORRY-PROOF - A no-mar finish protects your pool from scratches or dings. Clean out leaves and dirt without worrying about unsightly damage. LIGHTWEIGHT DESIGN - Stop struggling with heavy, awkward bag rakes. With a lightweight aluminum frame, this rake makes cleaning easy. This dependable bag rake features a lightweight aluminum frame that's sturdy and dependable. 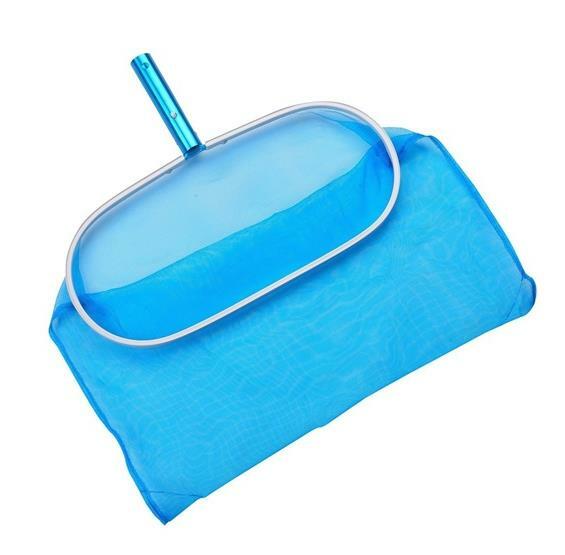 With an extra-large leaf grabbing bag, cleaning your pool has never been easier. You'll enjoy stress-free, simple cleaning thanks to its simple, intuitive construction. This rake features a no-mar finish that keeps your pool walls safe and scratch-free. Its durable mesh is sun and chemical-resistant, guaranteeing years of quality performance. 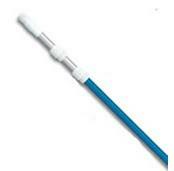 A quick-release handle easily snaps into any standard size telepole.